I was born with Tetralogy of Fallot, a rare condition involving four heart defects. In 2010 I underwent heart valve repair with Dr. Ralph Mosca, Chief of Pediatric and Adult Congenital Cardiac Surgery at NYU Langone Health. I’m also a poet, faculty member of the NYU Expository Writing Program, and the assistant poetry editor of the Bellevue Literary Review (BLR), a journal of poetry, fiction, and nonfiction, published by the Division of Medical Humanities at the NYU School of Medicine and NYU Langone. I volunteer for the BLR because I believe it publishes work reflective of the kind of empathy and patient-centered attention that NYU medical professionals bring to their practices and have offered me over the years. When I had my open-heart surgery in 2010, I didn’t realize how essential the valve repair would be until now, when I became pregnant and gave birth to my son Reyner at NYU Langone. 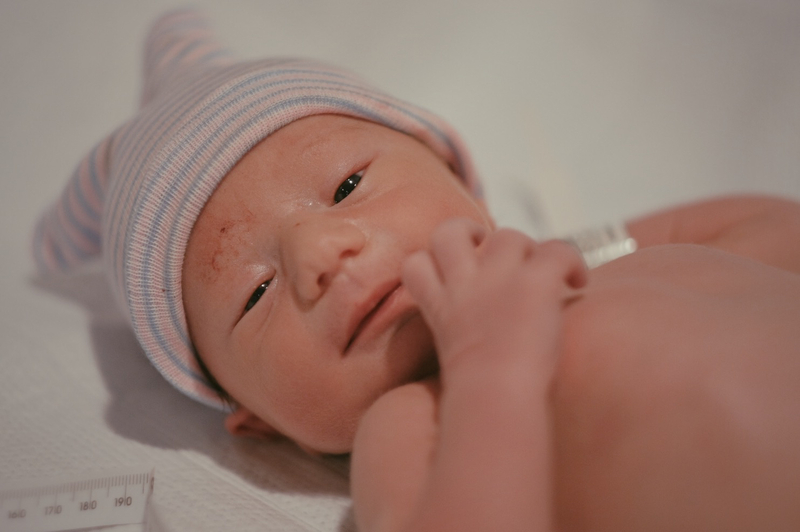 Reyner came two weeks early and had to spend a few days at NYU’s Children’s Hospital for hyperbilirubinemia. We are grateful to the team of doctors and nurses who brought us through safely—Dr. Catherine Weinberg (cardiology), Dr. Shilpi Mehta-Lee (maternal-fetal medicine), Dr. Anna Parizh (OB-GYN), Dr. Achiau Ludomirsky (pediatric cardiology), Dr. Ine Leus and Dr. Paula Prezioso (pediatrics), and Dr. Anand Swaminathan (emergency medicine), who allowed me to move between ER triage and the children’s hospital to nurse Reyner while treating me for a swollen leg. I am grateful to NYU Langone for bringing health to me and to my son, and for providing a forum like the BLR that supports humanistic aspects of medicine. The BLR’s mission echoes the quality of care NYU Langone doctors have given me, and I believe the voices we publish offer deep insight into the experience of being a patient at NYU. The BLR's readership reaches far reach beyond the NYU community, and I welcome your help to sustain its reach. Please help me to support the BLR in its efforts to bring together the perspectives of patients, caregivers, family members, students, healthcare professionals, and the general public, allowing for deeper understanding of the human experience in illness and in health. I am very happy to have been connected with Bellevue Literary Review since its inception. Brava Danielle Ofri and all the wonderful, talented, versatile, and indefatigable people connected with BLR.